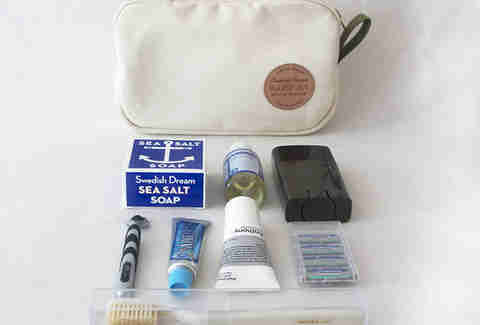 Prep your toiletries for a wet, hot American summer with Buckshot Sonny's Kamp Kit. 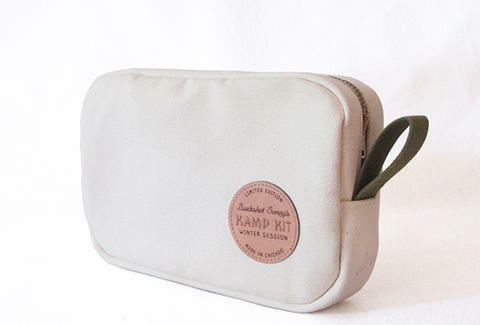 The retro result of a collaboration with Chicago-based bag makers Winter Session, the Kamp Kit is inspired by a dopp kit from Max of Buckshot Sonny's youth. The coated cotton pouch is made of durable materials produced in the USA, and accordingly comes in red, white, or blue.